Beautifully hand painted painting on golden lacquer. 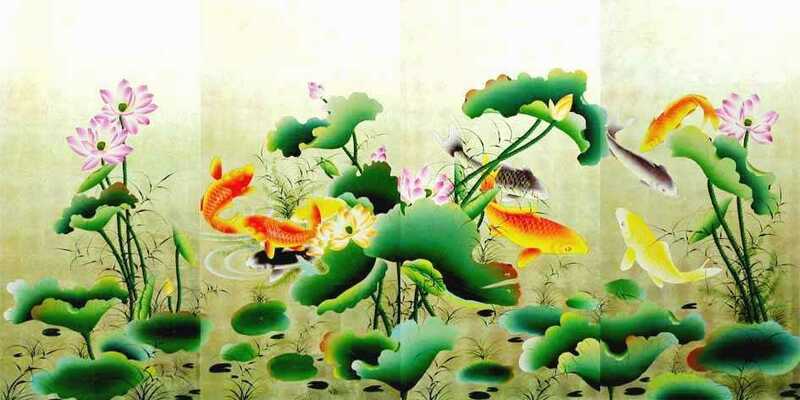 High quality lacquer painting of koi fish and lotus on light gold lacquer. A set of four panels, a great painting for large wall space!